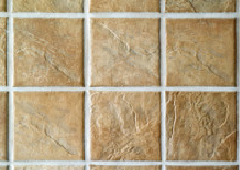 Your tile and grout will look brand new again! Let Stone Restoration Services of Detroit restore your tile and grout to look as good as the day it was installed. Don't replace it - Restore it! Using expertise coupled with state of the art equipment and techniques, Stone Restoration Services can make your tile and grout installations look sensational.